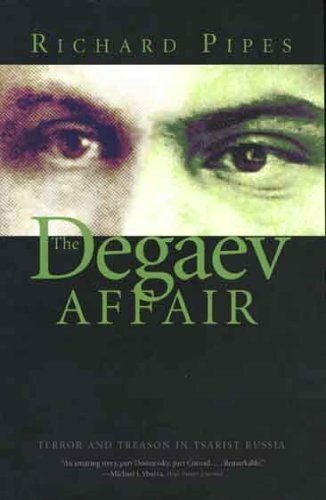 A committed terrorist in Russia, an admired professor in America: this is the story of Sergei Degaev's double life. Using Russian archives, it tells of his role in building and betraying the earliest political terrorist network, and his subsequent conventional academic career in America. Richard Pipes, Baird Research Professor of History at Harvard University, is the author of numerous books and essays. In 1981-82 he served as President Reagan's National Security Council adviser on Soviet and East European affairs. He has twice received a Guggenheim Fellowship. He lives in Cambridge, Massachusetts, and Chesham, New Hampshire.